Item # 290010 Stash Points: 2,495 (?) This is the number of points you get in The Zumiez Stash for purchasing this item. Stash points are redeemable for exclusive rewards only available to Zumiez Stash members. To redeem your points check out the rewards catalog on thestash.zumiez.com. A classic Brixton style starts with the 100% 150-gram cotton Rival II T-Shirt. 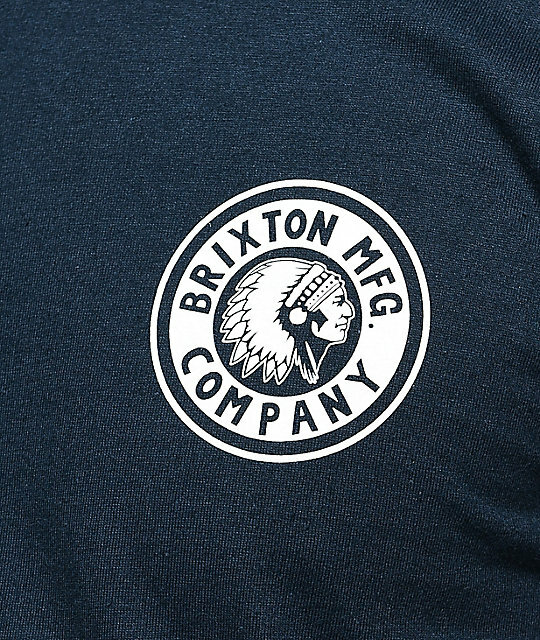 Featured in navy with a white Brixton logo printed on the left chest. Brixton's Standard Fit tees offer a tagless neckline for comfort and a 3/4" set-in rib collar trim. 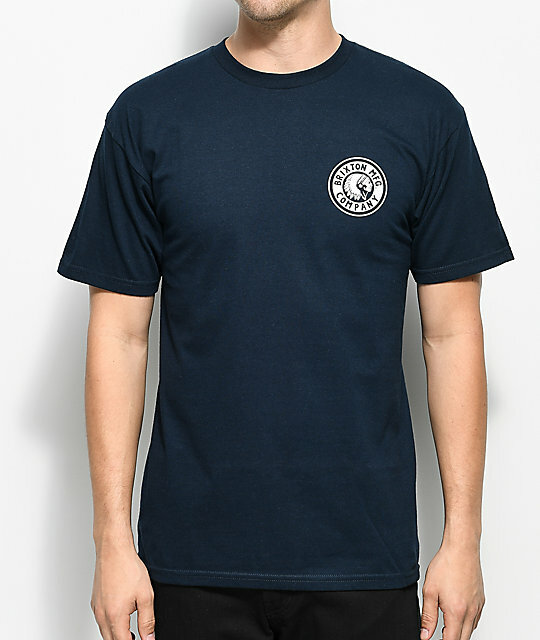 Rival II Navy T-Shirt from Brixton. 3/4" set-in rib crew neck collar trim.